Find wedding crafts, wedding craft projects and frugal bridal and wedding crafts here. Wedding is the union of two hearts. It can be regarded as the most special and precious occasion in a person's life. Thus, the gifts given to the lovely couple on their special day should also be special, which they can remember all through their life. While it is very easy to buy an expensive gift from market, not all would carry the essence of novelty. Then, it might be possible that you are not able to find a suitable gift for the newly married couple. In this case, one of the best options would be to make the gift on your own, in the form of a craft. Wedding craft projects also prove handy, when you are planning a frugal wedding. Sometimes, it is not so easy to find exactly what we want. Here comes the use of wedding crafts, which can help you make exactly the type of gift or accessories you want. Bridal shoes, bridesmaid bouquet, fresh floral bouquet for bride and ring bearer pillow are some of the popular crafts for wedding. Wedding photo albums will be long-term memory keepsakes, so try to make it as good as possible and use best material to make it. 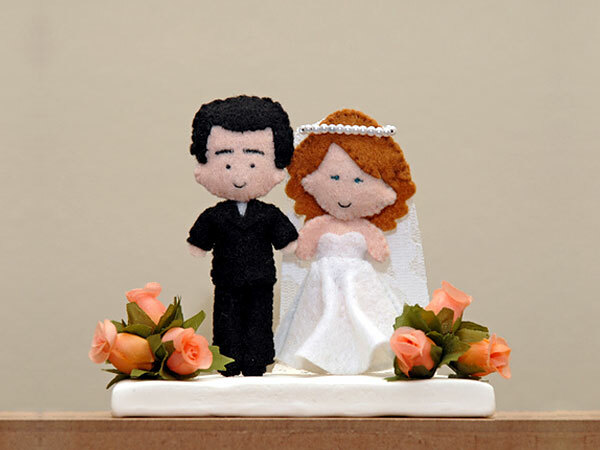 Some crafts mentioned in our section can be given as wedding gifts to the young couple. Bridesmaid bouquet can be made attractive and appealing by adding unique holders for the flowers. To make it look different than usual, place the bouquets in baskets, pails, or even purses to be carried down the aisle. The enduring aroma of flowers brings a gentle smile on the lips of almost everyone on this earth. Flowers are used on almost all the special occasion, for various reasons, right from presenting as a gift to forming a part of the overall decorations. Wedding is the special occasion, which leaves its memories forever, in one's life. If you want to make something special for your own wedding, which you can keep with you for whole life, then you can think of making a handmade ring bearer pillow. The craft requires very little sewing skills and looks quite graceful. Tissue paper is one of the most popular decorative papers used for craft purposes. You can even make beautiful flowers using tissue paper in no time. You can make an entire bouquet of tissue paper flowers and use it as a great gift or decoration, on almost any occasion.